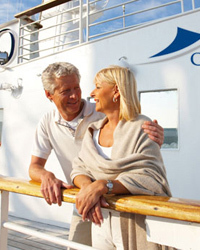 Why cruise with Cruise & Maritime Voyages? 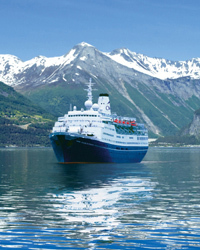 Cruise & Maritime Voyages offer small 3* ships, and exceptional value. With 2 ships carrying 700-800 passengers, and sailing from the UK, you can experience the destinations’ you want, with a friendly service. The dress code on board is informal; however there will be formal nights during your cruise for you to be able to dress in your best attire. Currency on board is GBP so you do not have to worry about the exchange rates and a gratuity amount of £5per person per night is automatically added to your on board account. Guests may adjust gratuities while on board at their discretion. Amazon, West Indies, Baltic, Canaries, Caribbean, Europe, Mediterranean, Iceland, North Cape, Britain & Ireland.